Kharkiv, Ukraine – August 15, 2018 – Oleksandr Medovoi, President & CEO of AltexSoft, has been elected to serve as the Chairman of Kharkiv IT Cluster Supervisory Board. This was the second time Oleksandr was elected to serve as the Chairman since the Cluster had been founded in July 2015. In August Kharkiv IT Cluster held elections to the Supervisory Board. As a result, a new member, Gennady Bukshevalov, DevCenter Director at Softserve Kharkіv joined the board and five members were re-elected, including Oleksandr Medovoi. The main goals of the organization are development of a favorable environment for local IT businesses and promotion of Kharkiv on Ukrainian and international level. Each member of the Board is responsible for one of the strategic areas of the Cluster. The Supervisory Board members are executives of nine top Kharkiv software development companies including NIX Solutions, CodeIT, and Insart. In July organization celebrated its third anniversary. Since the foundation, 38 members have joined the Cluster, and 11 higher education institutions became its partners. Also, Cluster cooperates with the local authorities and Kharkiv Airport. Currently, Cluster has 34 active projects and plans to focus on educational projects aimed at expanding the local IT market. Recently the Cluster supported the comprehensive research on Kharkiv IT market by the international consulting company PricewaterhouseCoopers. 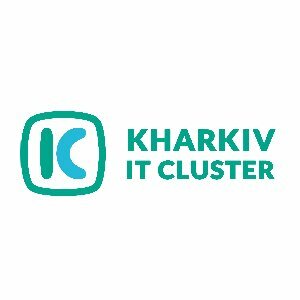 Kharkiv IT Cluster is an NGO that unites the leading IT companies, local authorities, and higher education institutions to introduce comprehensive changes into IT ecosystem of the city. Kharkiv IT Cluster was created in 2015 by six IT companies: AltexSoft, Insart, Promodo, Sloboda Studio, Telesens, and Videal.